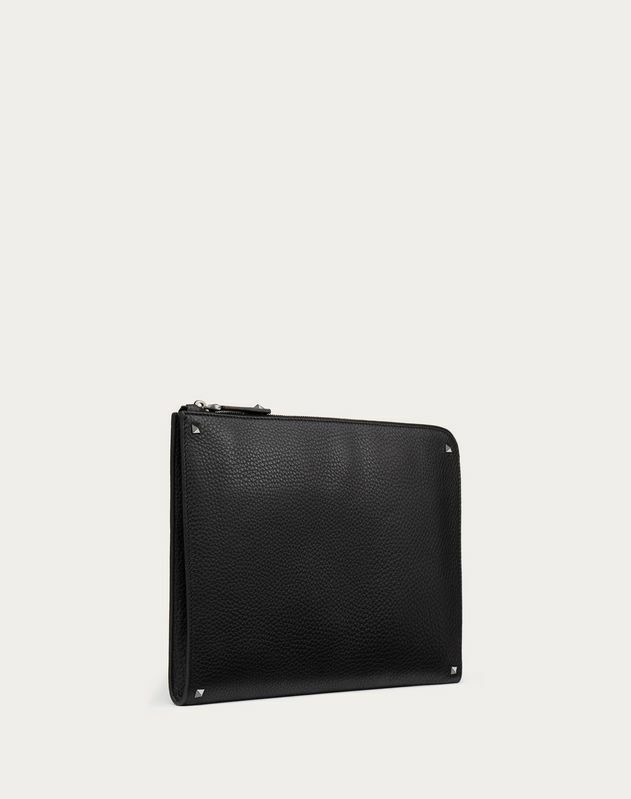 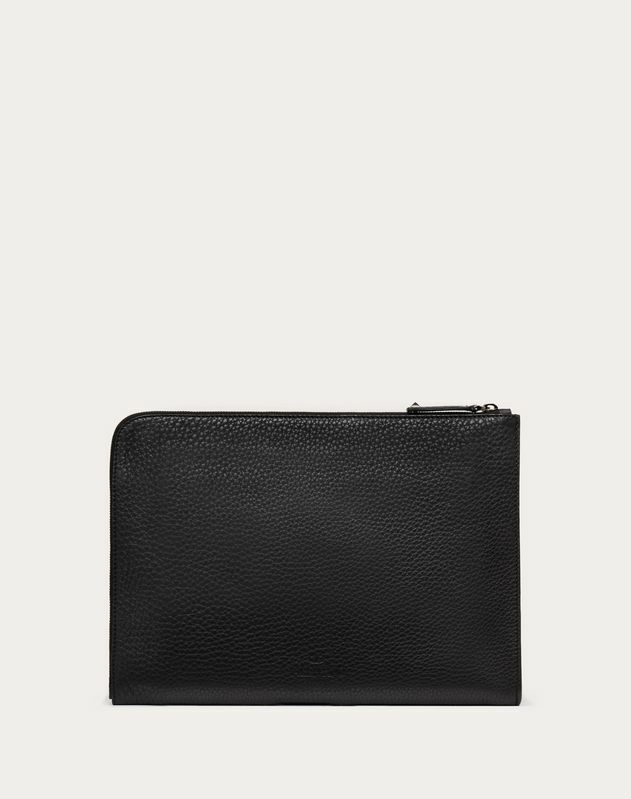 Valentino Garavani document case in black leather. 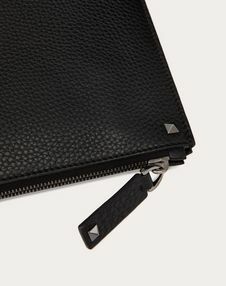 - Black Ruthenium finish studs. - Dimensions: W33 x H24 x D4 cm / 13 x 9,4 x 1,6".